Commerce is a free open source eCommerce plugin built for WordPress. Built to integrate with WordPress, WooCommerce is recognized as world’s favorite eCommerce solution designed for small to large-sized online business. The plugin was launched on September 27, 2011 and the end of September 2015 the report states that WooCommerce ran on 30% of e-commerce sites. 5 Reasons Why WooCommerce is best plugins for eCommerce Website. There are numerous varieties of tools available in the market today, all of them, facilitate to help merchants sell online easily and conventionally. The only drawback of these plagues is, it’s come at a price. Most of the small eCommerce startups usually low at their budget. The WooCommerce plug-in is open source and free to download this makes favourite choice for all developers. eCommerce is complicated business because new products need to be regularly updated and categorized on their discounts, price, availability, and more. One of the best benefits of WooCommerce’s is Flexibility. The merchants using the platform can enjoy a whole lot of flexibility in updating products and not just online selling, but are capable of selling physical, downloadable, virtual, even affiliate external products to. The important tool mostly used by the website owner, is their analytics tool. Many e-Commerce startups will lack of knowledge by applying an analytics system to their website. Built in analytics system feature in WooCommerce makes a wide array of statistics crystal clear by displaying the figures like total sales, sales by date, average order totals is presented in the form of graphs which helps in taking important business decisions. Commerce is available free of cost, eventually it is not a rig is the platform. There are around 39 different WooCommerce themes. 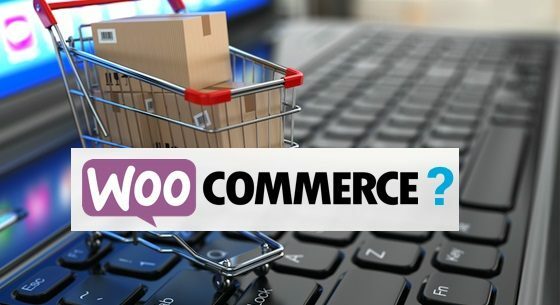 These themes can customize and tweak the commerce site to a level of uniqueness, all the different WooCommerce themes are free in WooThemes Store, Once a theme has been selected, it provides different features like changing pre-set colour themes and CSS styles, tweak the code, add special features to the website etc. The research conducted by Sucurit (industry leader in plugin security), states that WooCommerce is known to be a highly secure option for eCommerce development. Though it is an Open source free tool, it is loaded with important features and offers an amazing number of applications and extensions that helps in managing business in various aspects easily. Omkarsoft is one of the best eCommerce development company in India which is the result of years of tremendous dedication and experience in the field with an ultimate goal to achieve success. We offer wide collection of characteristics that are available only with high priced organizations. We look forward to deliver high quality services, customer-friendly and future-oriented e-Commerce website development services.